At DEM we know that StudyLink.com and StudyLink.co.uk may not be the only study profiler sites you work with so we’ve put the following advice together which should help you regardless of which sites you have a presence on. Following these five simple steps for all of your third party activity will ensure your marketing budget is providing the best possible return on investment. This is your chance to reach prospective students who may be unfamiliar with your institution or are unaware that your course portfolio has something that may interest them. Because of this, you should use every option available to you within the profile. On the StudyLink sites this includes a wide range of text based information about the institution, images, video, testimonials, RSS feeds and course descriptions. Where the option is available to provide images you should supply the highest resolution images available, grainy images are a poor representation of your institution. Videos are being shown to prospective students so make sure to use student-facing videos on study profiler sites, light-hearted and informative is the best approach. Be meticulous when building your content on study profiler websites. Inconsistent use of branding can be confusing and misspelling key words or poor grammar in descriptive text may give the student a negative impression of the institution. Proof-reading may be a chore but it is necessary. Maintaining your profiles may seem like yet another task in an ever-increasing workload, however this may be a good opportunity for you to recruit a student intern. The majority of students are looking for work experience before they graduate and with a project like this you are able to introduce them to the professional (or not?!) working environment of an institution’s marketing office. Different websites attract students from different countries, at different study levels and sometimes with different subject interests. Knowing the main markets for the sites you work with will better equip you to write engaging content for that audience which in turn will help you to attract those students to study at your institution or at least read on further into your content. Presenting the same content across all study profilers regardless of the audience may be appealing in order to save time but it will have a negative impact on the return on investment from the marketing channel. Students from Malaysia, for example, will require a different approach to domestic postgraduate students. 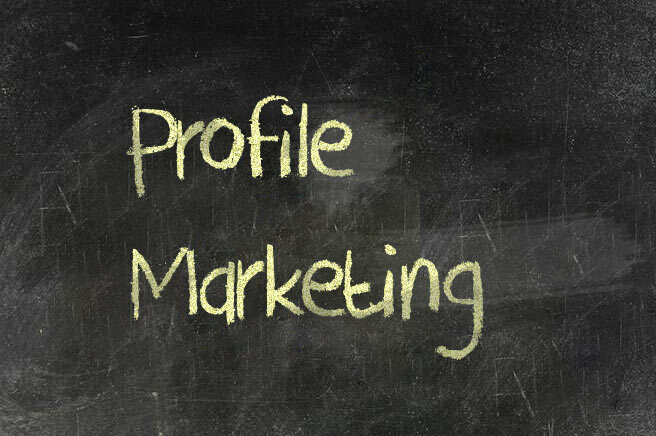 Considerations such as language, tone and content should all be considered when you put profiles together in order to maximise the potential conversion. International students will have different decision making drivers compared to domestic students and even domestic students’ needs will vary depending on study level. The majority of study profilers (with the exception of profilers who share non-unique email leads) will provide click-through traffic to your institution domain. Making the most of this traffic is fundamental to getting the best value return on your spend. Use deep links into your site rather than sending them to the main international page to ensure they don’t have to navigate around your site unnecessarily, every extra click you ask a student to do will reduce the number who reach the end of your funnel. Understanding a student’s position in the decision making process is vital to providing the right links and landing pages, if a student is reading about accommodation options on a study profiler when they click through to your site be sure to select a landing page with further information about that topic. The most important aspect of study profiler linking is ensuring you redirect any pages you remove on your website. If you change the url of a course page on your site be conscious that many other sites could be pointing at the old page. If this page isn’t redirected you will have prospective students landing on an error page. Redirection of urls is typically the responsibility of your institution’s web/IT team so be sure to inform them if you are making changes. We recommend keeping track of links that you provide in online profiles, perhaps with a spreadsheet or a with a similar technique of managing the information. That way, whenever a link on your site is updated you know exactly who to contact with the new link. Easily the most important aspect of your advertising presence on study profiler site are the call-to-actions (CTA). If you want a student to enquire or click onto a particular part of your site just ask them to do so, including a simple CTA like ‘find out more’ with a link will make a dramatic impact on the conversion rate of the profile. As mentioned in the Links section, third party activity should not be seen as a set and forget option. Be sure to revisit the content at time to time throughout the year to ensure that it is in line with your own site and your latest news. Making sure your content on study profiler sites matches content on your own domain is important to ensure students who click through are not confused or misled when they arrive at your site. Examples of this can include offering scholarships in your profile which aren’t immediately obvious (or worse – no longer offered) when the student reaches your site. Maintaining regular communication with your advertising providers is more important than you may expect. At DEM we love being told how great we are but more importantly we would never miss an opportunity to receive constructive criticism of our services. We use this feedback to drive our development plans so we can ensure that you are happy with us for the foreseeable future. At DEM we are happy to provide help with the products we represent, and go out of our way to make sure that you are getting the most from your online advertising. Get in touch with us if you have online education advertising targets you wish to meet and we will assist however we can. You can find further advice articles on the Advice section of the site and we will continue to provide advice on how to maximise your marketing spend through our monthly newsletters.